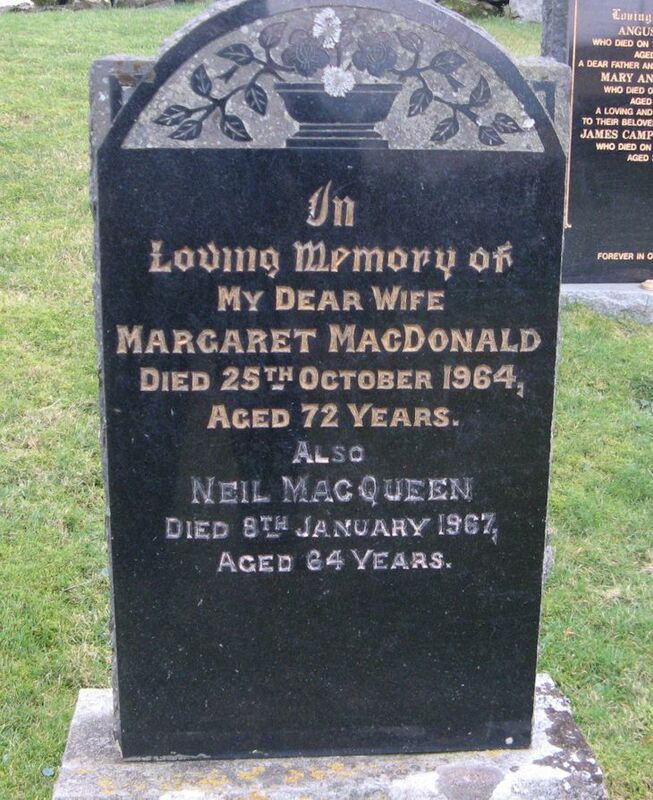 Skye Gravestones | Margaret (MacDonald) & Neil MacQueen. Margaret (MacDonald) & Neil MacQueen. In/loving memory of/my dear wife/MARGARET MacDONALD/died 25th October 1964/aged 72 years/also/NEIL MacQUEEN/died 8th January 1967/aged 64 years. Picture Added on 29 July 2014.